Want to Sell Your Laboratory-Grown Diamond? 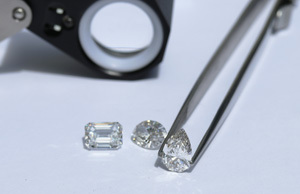 Ada Diamonds does not purchase any precious metals, ungraded lab grown diamonds, natural (mined) diamonds, diamond simulants such as cubic zirconia, moissanite, or any other gemstones such as sapphires, aquamarine, etc. Sellers must be U.S. residents acting in a personal capacity. Sellers must provide proof of purchase from a U.S. retailer as well as the original grading report from IGI or GIA. Read all of the Terms of the Ada Diamonds Public Purchase Program. To see if your independently graded laboratory grown diamond is eligible for resale, please submit the form below and a member of the Diamond Concierge Team will respond within one business day. Please include the certificate number, shape, carat weight, color, clarity, cut, etc.